I have decided to host my first GIVEAWAY. 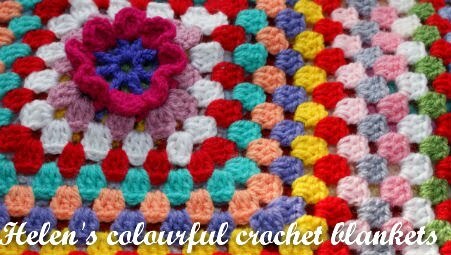 As you know I love to crochet so I wanted to share my love of crochet with you all and give you the opportunity to win one of my crocheted cushion covers. So my giveaway will be open for 1 month, so on Sunday 11th July I will draw a winner. To enter become a follower of me & leave me a comment. If you want an extra entry add my giveaway button to your blog & link to my blog, let me know in a comment you have done this. 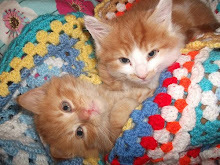 So I'm off now to sort out the kids and do some more crochet as I have some orders to get done. I am excited about this giveaway!! !I really would love to win!!!!!! Thank you!!! Lovely giveaway, I have added you button to my blog. 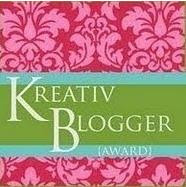 Just seen your blog on Chez Sophies blog link and I want so say how fab your work is! You crafty bloggers are so talented, I would LOVE LOVE LOVE to know how to crochet. Oh please can I enter, just discovered crochet and I am well and truely hooked (pardon the pun, would love to win your cushion. Oooh Sophie sent me here to enter your wonderful giveaway. 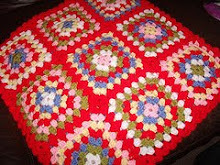 This cushion will go brilliantly with my first granny blanket I'm currently working through. I've just joined your followers and will enjoy seeing what goodies you make. Right, back to my grannies! Thank you so much for the opportunity. So So nice of you! Would love to win a cushion cover as I love your colours. Just found you via ChezSophie - gorgeous giveaway I'd love to be entered into it, please. Will add your button to my sidebar too. 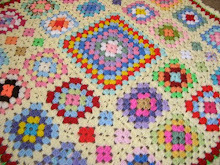 What a lovely giveaway - as you know I just love your crochet!!!! Added your giveaway button to my blog. I`m so glad I found your blog via `Chez Sophie` - your work is lovely and your colours are so cheery - your button will certainly brighten up my page! Consider me an avid follower now! How exciting - yes please add me to your lovely giveaway - I'll also add it to my blog. Just found your blog via The Bluberry Patch. 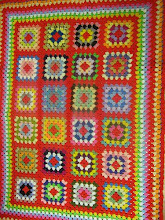 I am a big fan of your blankets after having seen them on flickr and Attic 24. What a gorgeous giveaway! Please enter me. I'm just learning to crochet and isn't it addictive - I can't stop!!! I forgot to say I'm a follower!! I just found you through Sophie (Chez Sophie). I too love crochet (and yarn!). I hope to win! I would like to learn to knit in english. I don't know exactly how I found your blog but now I will visit it often. I'm from Sweden. Oh, how I wish I could crochet! You are so talented and my hands are all thumbs! I just love your blankets. I totally fell in love with the snailtrail vans and the interiour and blankets and was so happy when I found you. I thought your blankets just seemed so familiar and it all fell in place when I learned that you had made the blankets for the vans! I would love to get a chance to look a bit closer at your work. 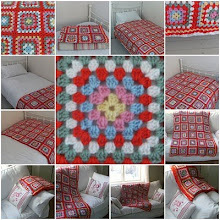 I'm amazed of the speed you seem to work at, blankets and pillow covers seem to just fly of your crochet hook! Please keep posting and show pics of your work, it's lovely. If you would like to write more about where you live and how your culture is I would love to read about that too. 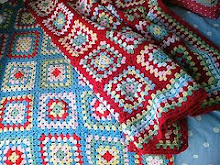 Your blankets are beautiful.So glad I found your blog. What a great giveaway, would love to win. thanks for the chance to win...I've become a follower and will add your button. I found your blog from Bunny Mummy. I love your crochet work. Thank you for the chance to win one of your lovely creations. What a lovely cushion, beautiful colours. Please enter me into your giveaway. Count me in, what a lovely giveaway! !